----Both handle can work at the same time, one for chin area,another for body area. You also can just use one of them. 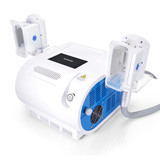 ----Comes with temperature control and water control safety system. ----No side effects, painless, no rebounding phenomenon, woundless, will not influence the normal working and living. ----More reliable-adopt the latest cooling technique in the world. ----Long effect: One course of operation will make you feel different, effect is visible . ----Suitable for all kinds of skin. Too much fat can damage people\\\\\\\'s appearance and athletic ability. May also cause various Too much fatty tissue can be located in various parts of the body, including the thigh, buttocks, abdomen, knee,back, face, arms and other areas. And an excess of adipose tissue may be cause ugly appearance formed by cellular. Excess body fat also related to significant health risk. So we need effective method to control or eliminate excess body fat. is a cosmetic surgery procedure that slims and reshapes specific areas of the body by removing extra fat deposits. Usually operated by the Plastic Surgery or dermatologist with a special surgical instruments for ledsuction, it is an invasive way to remove subcutaneous fat tissue. 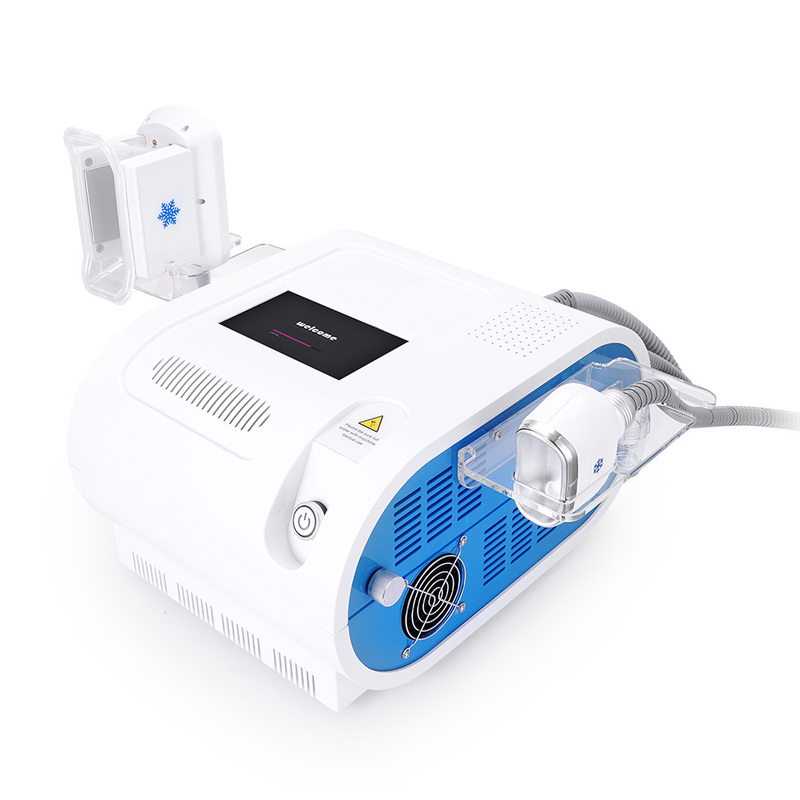 There are also possible fatal complications and negative side effects associated with having ledsuction. These temporary factors include swelling, painful bruising, pain, numbness, limited mobility and allergic reaction.In addition, is of high cost. 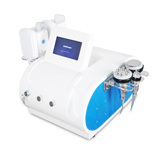 There are other new emerging technologies to remove subcutaneous adipose tissue, including Mesotherapy led-assisted and high-intensity focused ultrasound..
Other non-invasive way to remove excessive fat including drugs, diet pills, regular exercise, diet control,or a combination of these methods.A disadvantage of these operation is likely invalid, and even in some cases impossible. For example, when a person physically injured or sick, you can not select the way of regular exercise. Similarly, when the diet pills or external use of drugs are allergic or cause adverse reactions, in addition, the use of physical or systemic approach to lose weight, you can not eliminate the body fat of a selected area. The Cooling procedure is fundamentally different from other non- or minimallyinvasive modalities, and it was approved as the most effective way to fat reduction. This revolutionary new fat loss method, which is approved as an important technology progress in fat reduction since it is put into use.For those people who is on diet, do regular exercise but still remove local fat, Cool Freeze definitely a great gift. For fat intensive parts and less parts, such as love handles (flanks), and back fat. (loose fat above the hip on both sides of waist), belly and back fat, Cooling operation can produce stunning results . As triglyceride in fats will be converted into solid in particular low temperatures,It uses advanced cooling technology to selectively target fat bulges and eliminate fat cells through a gradual process that does not harm the surrounding tissues,reduce unwanted fat, When fat cells are exposed to precise cooling, they trigger a process of natural removal that gradually reduces the thickness of the fat layer. And The fat cells in the treated area are gently eliminated through the body\\\\\\\'s normal metabolism process, to eliminate unwanted fat. Even with diet and exercise, most people have stubborn pockets of fat that seem impossible to lose. 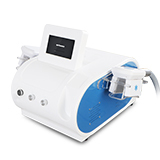 Fat freeze body contouring technology is able to target and destroy fat cells safely in 25 minute treatments. Fat freezing, or low-temperature fat breakdown, as it sounds - fat cells are frozen for a period of time in order to reduce them, which is a non-surgical choice, not liposuction. This sounds terrible, but fat freezing is a popular choice for many people who struggle with body fat. Freezing technology reduces weight through low temperatures while reducing damage to surrounding skin, nerves, blood vessels and muscles. Cooling causes fat cells to undergo cell death, a process known as apoptosis.